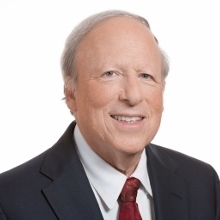 Mike is Board Certified by the Florida Bar in Labor and Employment Law and has been practicing exclusively in the area of labor and employment law for his entire 45 year legal career. Mike has written or assisted in writing all of Florida’s employee leasing/PEO legislation ranging from PEO licensing, workers’ compensation exclusivity of remedy, tort reform, to all other PEO legislative endeavors. Since the inception of the Florida Association of Professional Employer Organizations in 1986 he has served as the Association’s General Counsel. Also, since 1984 he has served as labor counsel to the Florida Health Care Association. Mike is rated “AV” by Martindale‑Hubbell, the national lawyers rating service, which is the highest rating a lawyer can receive. He has also been listed in the Florida Super Lawyers publication since 2006 in Employment & Labor Law. Mike also proudly and passionately serves on the Board of Directors of CureSearch for Children’s Cancer – a nationwide organization dedicated to the funding and discovery of effective treatments for various forms of childhood cancer. Licensed to Practice: In Florida since 1976 (active). Massachusetts since 1971 (currently inactive). Admitted to practice before various federal courts. Member Hillsborough County, Florida (Labor and Employment Section). Education: Boston University (B.A. Political Science 1968); Boston University School of Law (J.D. 1971). Practice History: Mike has exclusively practiced in the area of labor and employment law during his entire legal career. He spent his first five years of legal practice at the National Labor Relations Board. Since 1976, he has solely represented management in labor and employment law. His practice includes providing advice and counsel on union issues, handling EEOC, NLRB, Wage & Hour, and other administrative claims, representing professional employer organizations in licensure and disciplinary matters throughout the country, and working with local, state, and federal officials to better understand the nature of PEO/employee leasing arrangements. Practice Areas: Labor and Employment Law Representing Management (Board Certified by the Florida Bar in Labor and Employment Law); Administrative, Court, and Regulatory Law involving licensure, discipline, and other matters involving PEOs and their broad range of clients. Health care facility representation and representation of all other employers in labor and employment matters.